In this article, we will learn how to convert XML to Java object using Java Architecture for XML Binding (JAXB). 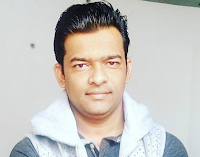 In JAXB term Converting XML to Java Object is called JAXB Unmarshalling. JAXB API provides the UnMarshaller interface, we can unmarshal(read) the object into an XML document. Let's see the steps to convert XML document into Java object.